Those of you who subscribe to our newsletter got our sale info first. 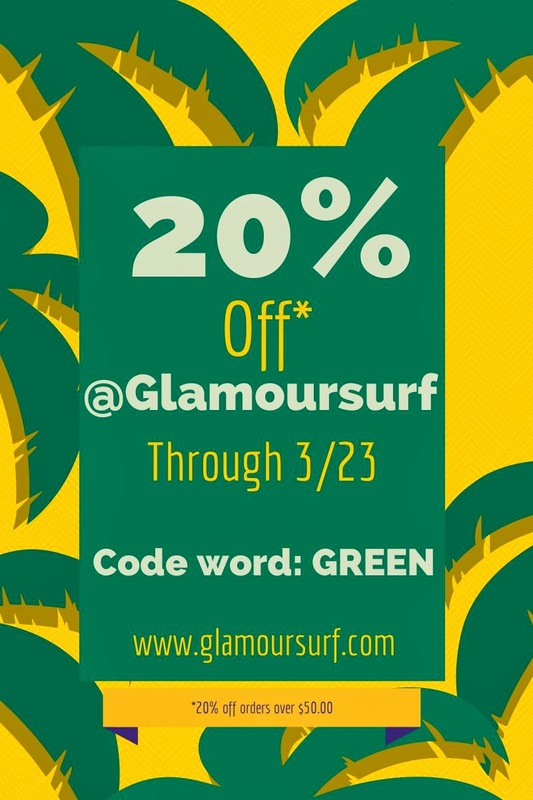 There are 3 more days to take 20% Off your purchase of $50.00 or more over at Glamoursurf. Use code word Green at checkout and the discount will be applied. *Not valid on previous orders. 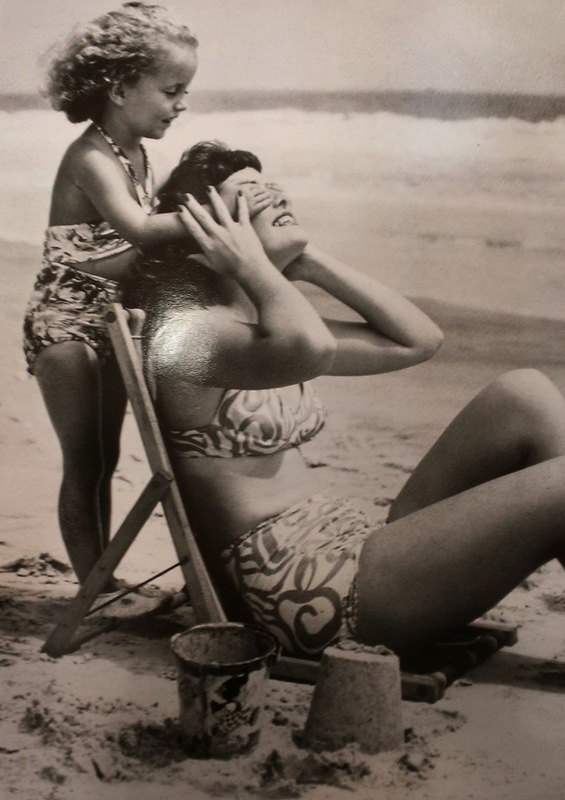 Get ready for summer with a fabulous vintage swimsuit. 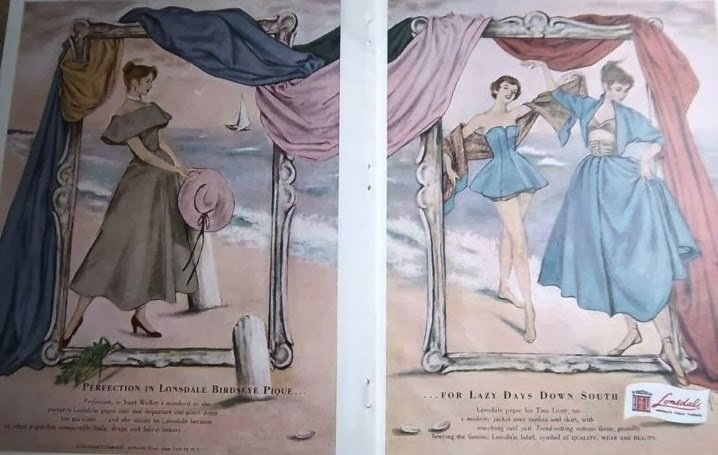 This ad from 1948 and features a couple of my favorite designers Joset Walker and Tina Leser. Fabric companies, Lonsdale in this case, were good at incorporating designers styles using their fabrics in advertising. Isn't the spread layout fabulous? Artistic frames with draped fabrics. But what I like most about this is the use of fashion designs by Joset Walker on the left and Tina Leser on the right. That Tina Leser ensemble of swimsuit, full skirt, bralette and bolero is just divine. But it's the rarer Joset Walker piece that I am infatuated with. That off shoulder draped boat neck collar and the simple lines just make me swoon. 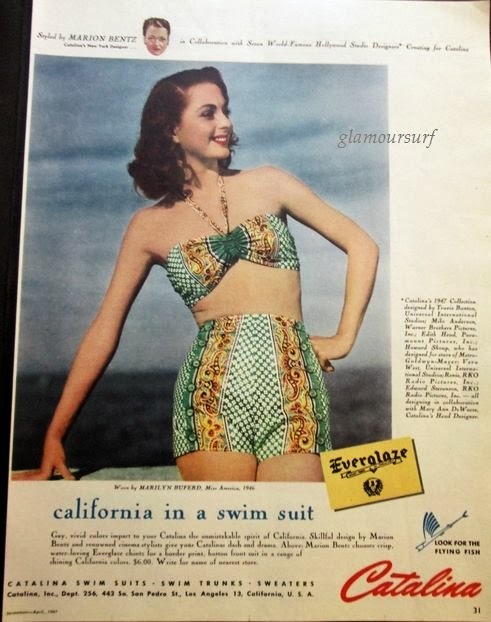 "California in a Swim suit"
This ad is from April 1947 by Catalina.Styled by Marion Bentz (Catalina's New York designer) in collaboration with 7 world famous Hollywood Studio designers* creating for Catalina. Those designers are called out in the sidebar. Catalina loved to promote not only it's designers but actors, models and in this case Miss America 1946 - Marilyn Buferd. Oh the name dropping!!! "Gay vivid colors impart your Catalina the unmistakable spirit of California. Skillful design by Marion Bentz and renowned cinema stylists give your Catalina dash and drama. Marion Bentz chooses crisp water loving Everglaze chintz for a border print, button front suit in a range of shining California colors. $6.00, that's about $63.00 in today's dollar." After all of that info, I gotta say, I love that swim suit!